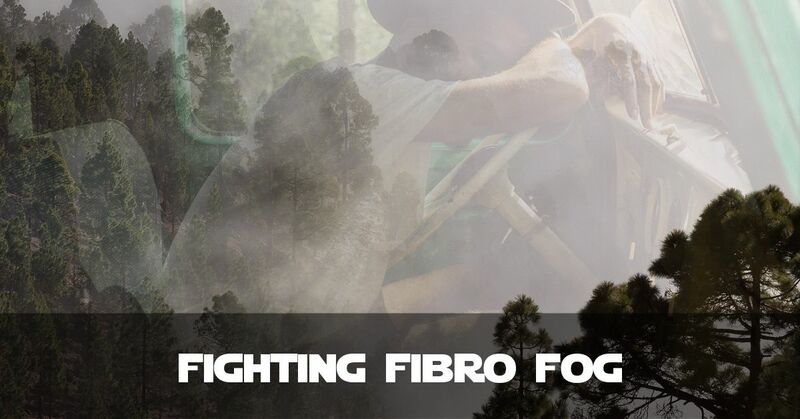 It has been some time since I wrote about Fibromyalgia and Chronic Pain. Now, thanks to planning and input from Patrons, I hope to get back into semi-regularly writing about Chronic Pain. I have had, out of the blue, chats in games and the occasional tweet where people expressed some surprise at what I have to deal with. So I thought I’d finally write a more in-depth overview (if that isn’t a contradiction in terms) about the symptoms of Fibromyalgia. This will not be an exhaustive list as Fibro varies wildly from person-to-person. The strength of symptoms can vary day-to-day and moment-to-moment. Instead I’ve picked the 14 main symptoms I regularly battle with. There are others. But Fibromyalgia is defined, mostly by its symptoms. I personally prefer the word “disorder” to “disease”. My nervous system is over-sensitive (to use a gaming term, it is not Working As Intended) and my brain basically tells parts of my body to hurt. My body then tells the brain that it’s hurting and to process it. i.e. I cause my own pain (mostly), without trying. “Disease”, to me is more about something you can contract from others. In short: by eliminating all other options. 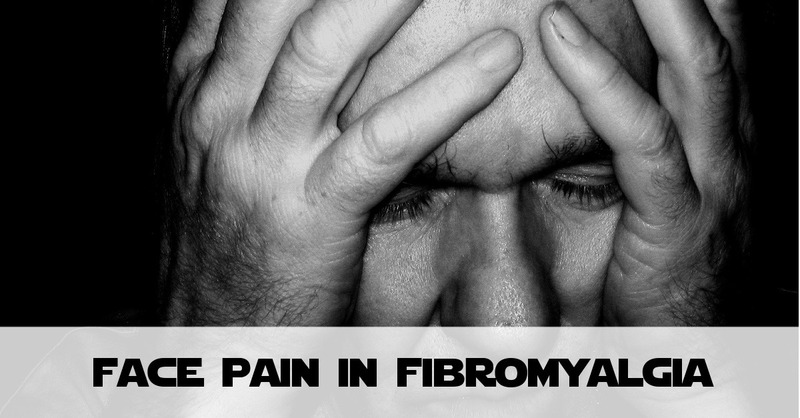 This is why getting a diagnosis of Fibromyalgia can take a long time. I started experiencing neck pain when I was thirteen, and it took about ten years for a diagnosis. You can be tested for the “likelihood” of having Fibromyalgia, based on pressure, or trigger points. My Fibromyalgia started in my neck. But by my late teens, this had regularly become what I referred to as “neck and shoulder pain”. Even if I’m relaxing at my computer or on the sofa, my neck and shoulder muscles always hurt. The pain can range from being massively tense to causing distressing sharp/stabbing sensations. Yes, Fibromyalgia is a pain in the neck! Ba-dum-tss! In the last couple of years, this has grown progressively worse. I have particularly challenging pain where my collarbones join my shoulders. This is worst when I first wake up, but it can spike at any time during the day. Since the Winter of 2018-2019 I’ve begun experiencing upper back pain more than I ever have. Because that is “new pain” to me, I have found it distressing and upsetting. For a long time now, I have to combat hand pain with my Fibromyalgia. To be more accurate I have stiffness and a sharp kind of pain in my knuckles on both hands. With my hands hurting, writing with a pen is really difficult. I can, if I need to but I have to limit this. Hand pain, when it’s bad affects my ability to blog, write fiction and even which game I play. Or rather, what in each game I choose to play. I tried dictating blog posts but I find my brain-to-hands method works better than brain-to-mouth. I’ve done tests in the past, and my hands can hurt just as much watching a movie or the Formula 1, as they do when I’m typing or gaming. I try to manage hand pain with a combination of: reducing typing, arthiritis compression gloves and deep heat cream. Thankfully, face pain is much more rare than it used to be. In the latter months of running my own business, my face pain was at its worse. This is likely due to stress. In my case, face pain meant a sensation of pins being stuck into certain points. Under my check bones was a very common location. Of course, such pain usually led to – or came after – headaches. It was a huge distraction from anything I was trying to concentrate on. As I said, this is rare now, but it does rear its ugly head from time-to-time. From what I understand some Fibromyalgia patients struggle with any form of physical contact. That is not me – which is a blessing because I’m a person that loves to give and receive hugs. Where they’re wanted, of course. Where I do struggle is in particular types of touch. Unexpected Touch: call this ‘playfully making me jump’. Don’t. If I don’t see you coming, your touch will hurt. Pressure Touch: simple science: a weight on a small surface area has a greater effect than a larger one. In normal-speak, don’t poke me. Poking is literally the worst thing you can do, it feels like torture and can make me yelp in pain. Finger-tip Massage: linked to pressure touch. Massage can help, albeit it very temporarily. However using your fingertips can actually make deep pain surface more. It doesn’t then dissipate, I will just feel it more. If you want to give me a shoulder massage, use your whole hand or fingers, not the tips. Any volunteers? Hugs: none of this wishy-washy sideways pretend affection. Hug me, or don’t. A friend’s hugs are worth more than any other gift. They are a sign of acceptance. Just don’t do it before I know you’re there! Heavy Weight: No, nothing to do with people being overweight, or getting ready for boxing. If you put a hand on each of my shoulders and apply pressure for a few seconds, this actually works. It’s not quite massage but it does seem to help a bit. I’m really protective of my personal space, but if you’re one of my friends who sees me sometimes, then feel free to use the above. Some friends in my previous life circumstances would not hug me “in case it hurts”. If I’m already hurting a lot, trust me – I need comfort, however brief. I’m going to say this right now: I am not inactive. I’m also likely not active enough. But because it’s my job to clean the house, do the laundry and sort the dishes, the first part of my day is very active. Although I don’t hit the minimum 10,000 steps minimum expected of a person, I do usually get near to 5,000 and some days above that. However, I am not as strong as I used to be. When the pain is bad, lifting a full kettle or putting three plates away in a cupboard can hurt. Lifting up NJ (my nearly 2½ year old, at the date of this post) really hurts. I still do it so I can have fun with my daughter, but I have to limit it to avoid hours of pain afterwards. Even recently hanging my Lord of the Rings map on my office wall caused arm pain – and it’s not heavy. I often put myself in pain to do stuff for others. Especially family. Having done some research, it is hard to determine if Fibromyalgia causes a poor-functioning immune system, or whether people with Fibromyalgia symptoms simply get other illnesses much easier. There is a distiction. But on the ground, the result is the same. I regularly get colds or coughs, stomach bugs and goodness knows what else. For now, your best defense is a good night’s sleep, and anything else you can do to minimize the stress of your chronic illness. Neither of those things are easy to achieve. Even when I’m awake, I’m restless. I struggle to sit still for very long at all. It’s like some sort of nervous energy (about the only energy I have!). So it’s not a surprise that restless, or disturbed sleep is very common with sufferers of Fibromyalgia. Remember that I don’t stop being in pain when I’m unconscious. My meds will have stopped working by the middle of the night. 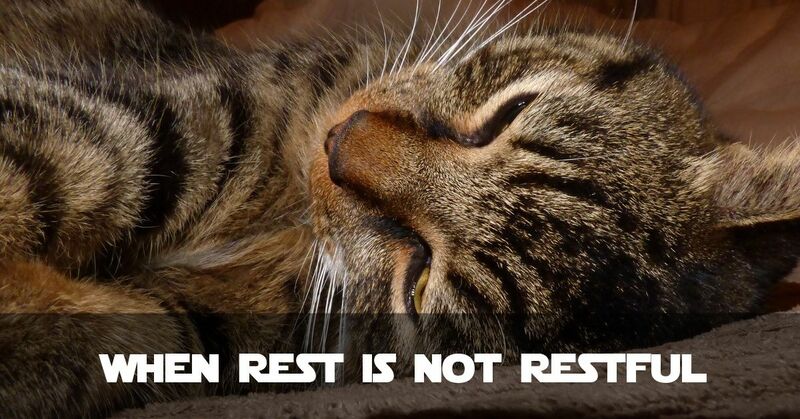 It’s why I call it “When Rest Is Not Restful“. Affects Other Symptoms: poor quality sleep can cause or exacerbate Fibro Fog, depression, chronic fatigue and pain levels (more info). Basically, I go to bed shattered and in pain, I wake up shattered and in excruciating pain. Every day. I’m also pretty much incapable of napping. Oh, and too much time in bed makes my pain so much worse so I have to choose either to risk more pain or be more tired. As this could be a blog post in itself, there are things I do to try and help. No screens at least 1 hour before I put my light out at night. I use screen tinting app f.lux to gradually reduce blue light on my monitor in the hours preceding sleep. I read a chapter of a book as books are less intense on the eyes. I have some supper (a banana and yogurt, for example) as going to bed hungry usually stops me sleeping. I have not been diagnosed with Chronic Fatigue Syndrom (CFS) but I am chronically fatigued. I have moments where I feel more awake, but most of the time I feel shattered. I may appear to have energy, especially at time I run gaming streams. But I’m not energetic, I’m merely distracted from it for a short while. And that’s a good thing! But whether I’m blogging, playing with my daughter, watching a movie or playing a game, I feele exhausted. Fighting pain is draining and not getting good sleep is a major contributor. I have to be somewhat careful because if I don’t get energy from sleep, I have to get it from food. So while I don’t think I’m technically overweight, I’m heavier than I want to be because I have to fix the energy crashes somehow. 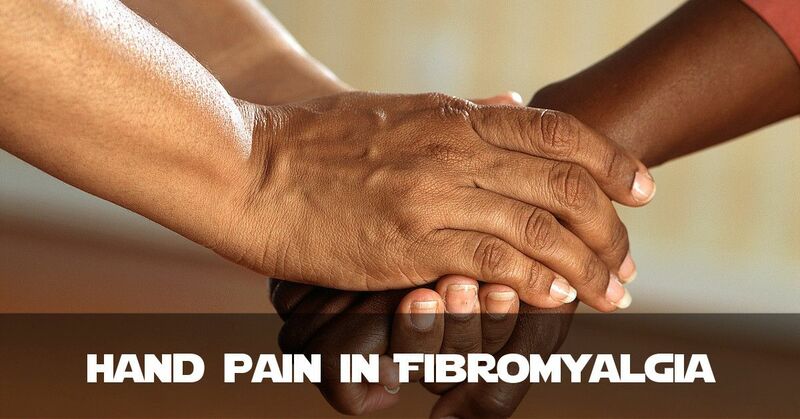 A common symptom of Fibromyalgia has nothing to do with pain itself – though pain can make it harder. It is something called “Brain Fog” or “Fibro Fog“, although it is not a symptom unique to Fibromyalgia. To summarise, Fibro Fog feels like having a head full of cotton wool. It makes thinking, rationalising and sometimes even just walking from room to room difficult. For me this haze is worst in the mornings (mostly all morning). Only caffeine and food seems to help, though sometimes doing housework can help. A side effect of Fibro Fog is that my memory is very poor. If it wasn’t for having alarms set I would accidentally forget to take my meds even if I’m in a lot of pain. I need reminding of things semi-frequently. And in a gaming/Twitter sense, I may ask the same question of the same people, forget to reply to tweets etc. Just gently remind me and I’ll try to fix it! One of the weirdest aspects of having Fibromyalgia is that I have really over-tuned sound sensitivity. This means I may play games with very low volume, or I may think the TV’s volume is too high even if it’s only set to 10%. 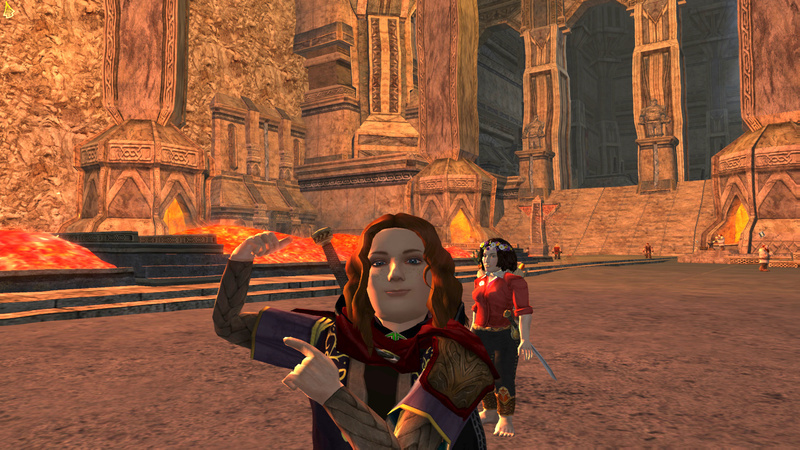 In recent months this has meant I can’t go to LOTRO’s music events, because the instruments in-game somehow sound harsher to my ears than they actually are. Linked to this is sensory overload. Audio Overload: if there are too many sounds in one place I have to get out. This means if my daughter is playing a noisy toy, I try to get her to turn the music or television off. The cacophony (which might just mean two different sounds) feels like an attack on my head. Visual Overload: read: “Messy room”. “Messy” is a subjective term, I accept that. But if I perceive a room is messy I have to either tidy it, or leave the room. I don’t have OCD as a condition, nor claustrophobia, but it feels like a mélange of the two. While sensory overload is not a symptom unique to Fibromyalgia, it is common. Being in pain is an intrinsically stressful thing. Therefore without external factors (not that we can exclude all external sources of stress), my body is stressed. That makes it a symptom as well as an aggravating factor. However, stress from other internal and external sources can massively affect my pain levels. It was this aspect that likely led to me no longer being able to run a small business. The pressure of deadlines, client and staff expectations and uncertainty over payments coming in – plus learning new things all the time – put me in horrific pain many a day. A sudden change of plan. Difficult/Challenging content in games: This could be an “intense” flashpoint in SWTOR, or one of those manic Defence Skirmishes in LOTRO, for example. Seeing a reduction in website visits, or a few GBP reduction in my already-small ad revenue. The list could go on. But if something offline, or online can be called ‘intense’ or ‘challenging’, it will likely make my pain worse. Depression as part of Fibromyalgia: being in some measure of pain all day, every day is intensely wearing. Coupled with low energy from poor sleep, the fight is endless. It is also very difficult not to get down about it, wish for a way out of it. It is hard to explain to people who don’t have pain or depression. But pain is distressing, so it’s not surprising that it can lead to depression. 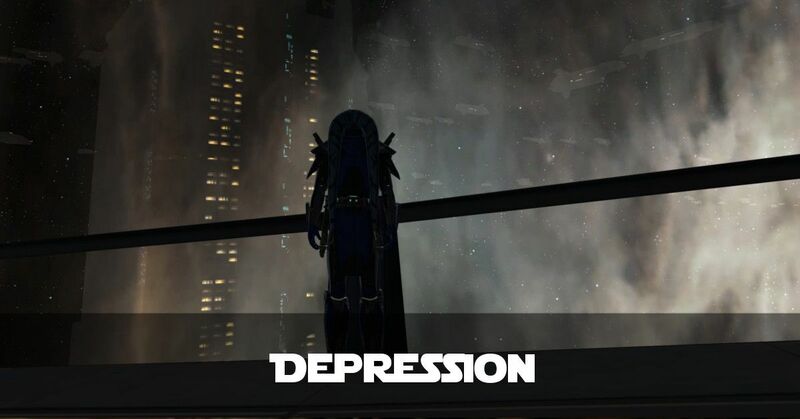 Depression as a Separate Condition: I do suffer from what I call “irrational downs” – i.e. I know I’m very sad, thinking very negatively and living that way. And it may have nothing to do with pain, or any other possible explanation. I didn’t realise I had this until my wife told me to go see a doctor about it maybe 4-5 years ago. She was right and I’ve been on anti-depressants all that time. And I need to be on them. One thing that feels stupid about this is, crying makes the pain worse. That can lead to me internalising the feelings, which can also make the pain worse. We’re nearly there! Fibromyalgia Symptom number 13: Temperature Sensitivity. I’ll add into this “humidity sensitivity” too. In Winter, even when my house is heated my pain can get much worse, especially my hand pain. And in Summer, my shoulders and head can hurt more if the air is humid. If the weather is warm, then that’s good for me – but if it’s humid I usually have a huge flare of pain. This is why historically, my best seasons are Spring and Autumn. Not too warm, not too cold – just right (like the Three Bears’ porridge!). Although there was a study that cast doubt on this link, it was only done over one month. That, to me, is not a long enough time period. Over a month, maybe weather doesn’t make a difference. Over a year, there are times where I know my pain will be worse. And I am not alone. I did not realise this was a “thing” until a year or so ago. I went to have a regular eye test at my local opticians. I was sure my sight was worse and so I would need new glasses. 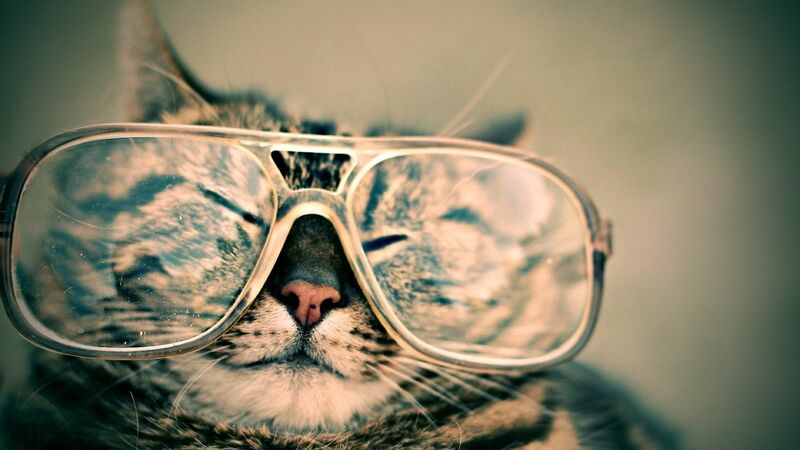 After the examination, however, the optician told me something new. My eyes were in no worse shape physically than they had been two years previously. But, he said that my pain was likely making it feel worse. So I did some digging. Because Fibromyalgia is a nervous-system problem and it causes muscle issues, it should affect the eyes. Or at least it should be likely. The eyes have muscles to control movement. And because pain is a false signal from the brain, or an over-amplified signal, it should not have surprised me that my eyes would be impacted. And if the eye muscles are not functioning as expected it can cause dryness, making contact lenses a difficult choice. Glasses hit pressure points on my nose and head and often hurt to wear. So I usually put up with blurred vision. I struggle to focus on objects not in the immediate surroundings. So I don’t need to wear glasses at my computer. Though I do increase font sizes, or document zooming so I don’t strain them more than they already are! High Blood Pressure: low-quality sleep, being in pain all day and finding life stressful all contribute to higher blood pressure. Fibro won’t be the only thing contributing (my caffeine addiction will be part of it, no doubt) but it is a factor. Mild IBS: some who have been diagnosed with IBS have an extreme version of this. Thankfully I just occasionally get gut issues, because Fibromyalgia and IBS are linked. TL;DR The Symptoms of Fibromyalgia are Many! 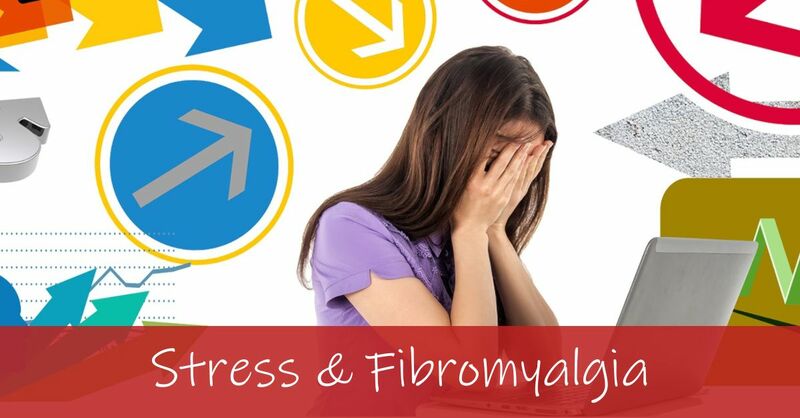 This post simply covers 14 of my top Fibromyalgia Symptoms! But as this condition can look very different depending who you’re talking to, it’s not exhaustive. I hope this has helped people to understand me a bit better. Fibro is life-impacting and, in some senses, life-restricting. I push through most of these outcomes of chronic pain most of the time. I try to be productive and attempt to be positive. Thank you so much for being there for me and, however you support me, I’m hugely grateful! Sadly, I had to disable links in comments to stem the amount of Spam. While this has worked it’s hard to allow links for some people without allowing for all!